Detona+™ will protect the fuel distribution system from corrosion and rust, reduces deposits in combustion chamber and intake valves and reduces emissions. Optimizes fuel economy, engine performance and improves power and acceleration. Detona+™ is the gasoline equivalent to our diesel conditioner Xtra-Diesel™. Detona+™ will restore performance to high mileage engines. Detona+™ was fleet tested in consumer cars demonstrating its effectiveness to clean up the entire fuel system in one tank of fuel. Dirt and other deposits in the fuel circuit, intake valve and combustion chamber reduce engine performance and increase gas consumption and maintenance costs. Deposits between the annular valve seat and the exhaust valve can even prevent a car from starting. Corrosion in the circuit, especially in the injection system, diminishes engine efficiency, wastes fuel and leads to costly repairs. Tests were conducted on cars driven approximately 550 km on one tank of gas with the addition of one shock treatment of Detona+™ Intake valve deposits were measured before and after. The average reduction of valve deposits was 51%. Combustion chamber deposits were also measured before and after, with an average deposit reduction of 39%. Detona+™ was also tested in new six cylinder engines. In these cases, deposits from piston tops reacted with fuel residues and became lodged between the valve seat and exhaust valve. 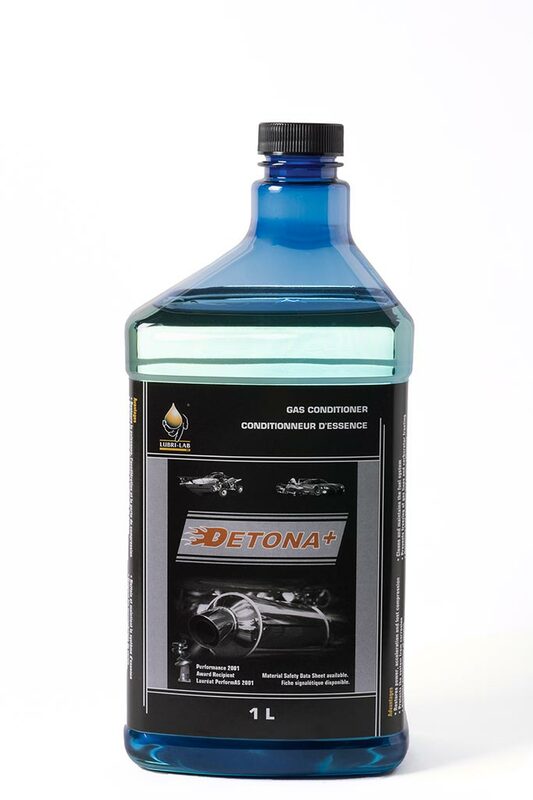 Detona+™ reduced compression leakage by 90%, thus preventing cold start failures and restoring engine power.